At 6’6,” Michael Franti isn’t the sort of celebrity who blends into the crowd. Still, whenever the genre-blending pop songwriter comes to Asheville, he likes to explore. Another noticeable quirk: He doesn’t wear shoes. What started out as a weeklong experiment turned into 15 years (and counting) of bare feet, although he does have a few pairs of shoes just in case: Havaianas flip flops (for airplanes and restaurants), running shoes (for gravel paths) and snowboarding boots. Five years ago, he started working with Soles4Souls to help collect shoes at concerts to send to impoverished countries. What does all this have to do with the music? Franti is upfront about making positive change through the way he lives — the theme permeates his upbeat music. It’s easy to see why Franti feels at home among Asheville’s healthy restaurants and progressive attitudes. But what happens when he goes to cities with fewer kindred spirits — say, Cheyenne, Wyoming? Franti actually has played Cheyenne with his band, Spearhead, on the rodeo grounds, no less. 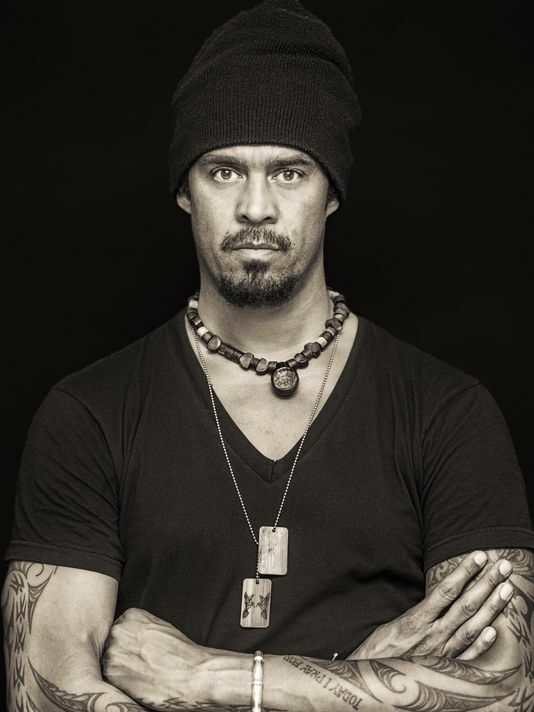 In an industry that seems somewhat removed from politics at best and jaded at worst, Franti’s patriotism stands out.